Sweden has given me much to love about it. My husband, for one. The misty archipelago seen slantwise from an airplane at 7am. The ample solitude of suburban birch tree forests. The Swedish fika (coffee break) with the most sinful, whipped cream-ful concoctions you can imagine. The narrow cobblestoned streets of Gamla Stan in winter, picnics at Drottningholm, lacquered wooden boats in the Baltic, clean and efficient trains, an introduction to a rational citizenry that supports a nine party political system … Yet on a daily basis, I am most consistently affected by the haunting Scandinavian music my husband pipes into my head, each piece carefully chosen to pique my noirish interest. Jan Johansson (1931-1968) was born in Sweden in Hälsingland, a heavily wooded wilderness. Later he left for university, and Copenhagen, where he met and worked with Stan Getz and Oscar Petiford. A classically trained pianist, Johansson abandoned his studies to devote himself to jazz. In 1962, he moved back to Sweden and settled in Väsby. 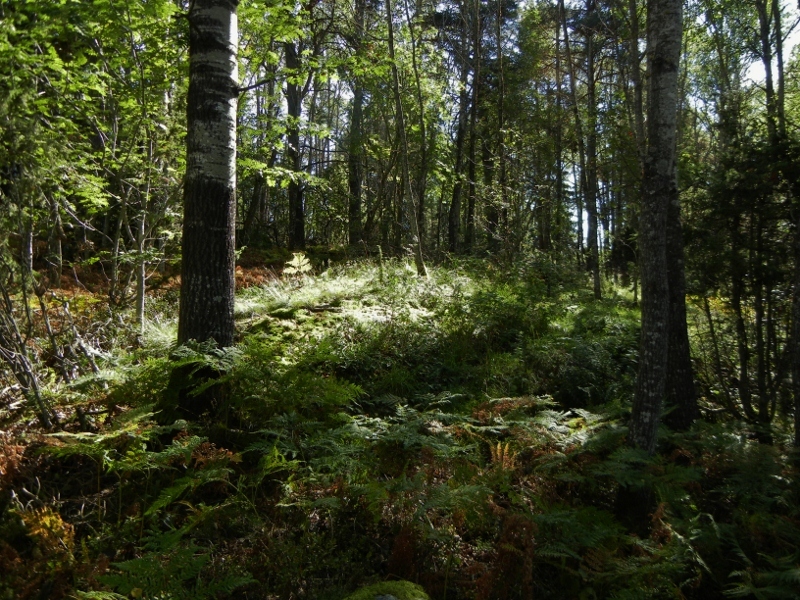 The Jan Johansson website says it was here that he “began to work with Georg Riedel, Arne Domnerus, Bosse Broberg, Egil Johansen and Rune Gustafsson.” Here too he developed a minimalist modern jazz in a land known for its stone age runestones etched with references to ancient battles, the Norse gods, and family deaths. In Väsby he composed his most famous album, Jazz på Svenska (Jazz in Swedish), a reinterpretation of traditional Swedish folksongs. The style is quite melodic and what I would describe as accessible even to those who normally don’t like jazz. The track “Visa från Utanmyra,” with Johansson on the piano and Georg Riedel on acoustic bass, is arguably the unofficial national anthem of Sweden. 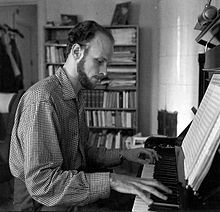 Utanmyra is in Dalarna, and this piece always makes me think of a farmer in the fields at the first nip of fall; the bass is of course a big-antlered elk tired of the weight of its own head; and Johansson’s touch on the piano has the purity of ice cubes falling into an empty glass. 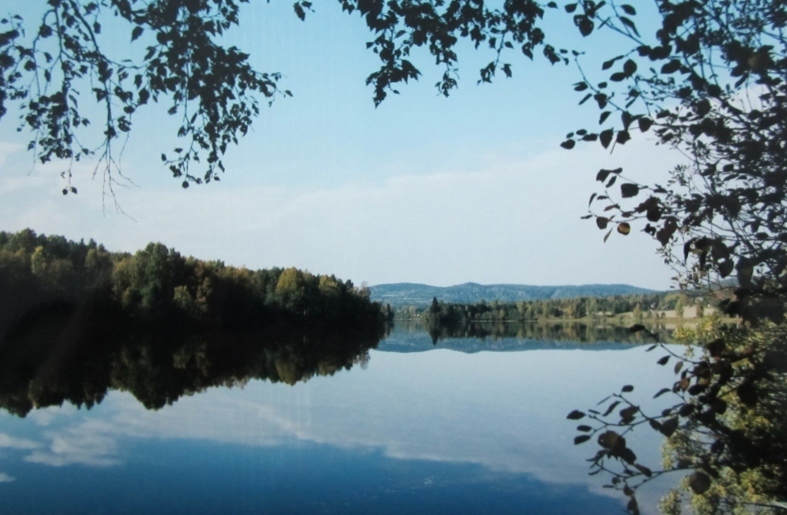 It also reminds me of Dalarna of course…the mirror lakes, those red wooden horses, rowan berry trees, and red cottages tucked in among the hills. The rest of the album is similarly enchanting. Sadly, while on his way to church for a performance, Johansson died in a car crash at the age of 37. To this day he is relatively unknown outside of Sweden. His sons have continued to promote and sell his music, but until recently, CDs could only be obtained in Sweden. With the magic of the internet, however, his audience seems to be growing. Here are the Spotify links to the Jan Johansson tracks I especially like. You can also google them and see what’s on Youtube or Itunes, or go to the Jan Johansson website. …I may have to add a music pronunciation page! Even if you don’t understand the Swedish lyrics, her voice transforms the music from a melancholy pastoral interlude to a piece of subtle of witchery. While listeners are captivated by her voice, the lyrics (by Björn Lindroth) describe a young woman entranced by a man with whom she has a fling. The refrain tells us with mingled regret and satisfaction, “Then he walked on by; but he walks on by.” She’s glad to have gotten as close as she did, and the change to the present tense lends the brief affair a dash of eternity.Zetterlund’s memorable performances with the likes of Louis Armstrong, Bill Evans, Stan Getz, and of course Jan Johansson, usually exude more jubilance however. A song like “Sakta Vi Gå Genom Stan” (Slowly We Walk Through the City) is terrific for anyone planning a romantic night on the town, especially Stockholm. Based on the American tune “Walkin’ My Baby Back Home,” the Swedish version is less about two young lovers than it is about the fabulous city they walk through. 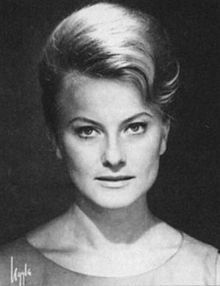 Monica Zetterlund – Sakta Vi Gå Genom Stan (from letssingit.com) – this page contains the Swedish lyrics to the song and also a nifty music video with cool (totally unrelated) footage of 1950’s Stockholm. Bubbliness aside, “Vindarna Sucka Uti Skogarna” (“The Winds Sigh in the Woods”) is one of her darker, more mysterious pieces. It’s about what a shepherd sees all alone in the fields at night–moon, rushing water, sheep. Like Jan Johansson then, she adapts a folk theme to her personal style. Indeed. But, at least she didn’t live that way. Well, I hope someone out there will go on to enjoy reading Nordic noir while listening to Johansson and/or Zetterlund!